Hello everyone.I hope everyone is doing great on your beutiful holliday there in the United States. Everything is going great here in Zapala and we are having some good success here. I´ll start with a new investigator named Omar. He is a pretty cool guy and also pretty evagelical. But he is pretty willing to listen. He was a reference that we got from a member and she said that he was going through some hard times and that he could use a little help. So we went by and he accepted us even without us introducing ourselves. He told us that he has been separated for a little while now and he feels like he has failed God. We talked to him and we were able to share two lessons with him this week. We shared the restoration with him and also talked about how he could recieve the dirrection he needs. He said that he had listened to the missionaries before but he never asked God if Joseph Smith was a prophet so we committed him to do that. After the second lesson he told us that all the things we where teaching him we helping him a lot and that they were entering into his heart. We are really excited to be able to teach him and I think if we keep helping him feel the spirit of our message he will be ready to get baptized. Luciano and the Familia Barraza are progressing really well. The family loves it when we come over. They all came to church this last week. The last lesson we challenged the Dad to prepare himself so he can baptize his son. He accepted and said he was going to do whatever he needs to do it. Luciano is awesome. He is only 9 years old but he is really smart. He reads all the things we leave him in the Book of Mormon and loves going to church. He is looking really good for his fecha on the 15. So this week we celebrated the independance in Argentina on the 25 of may. We had a pretty sweet acitvity in the church where we all ate the traditional dish of the holliday called Locro. Its like a corn/bean/ a whole bunch of other stuff like cow stomache and basically every other part of the cow. Its pretty good and we had a good time. The members also brought some friends that weren´t members so it was good to introduce them a little to the church. Well I hope you have a wonderfull memorial day. I love you all and hope you have a great week! 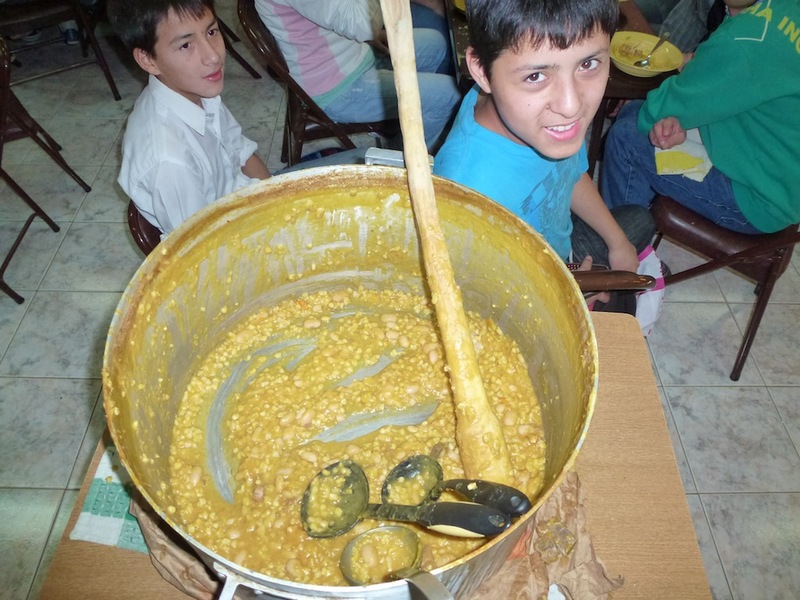 We got a picture here with the big bowl of locro that we all ate. 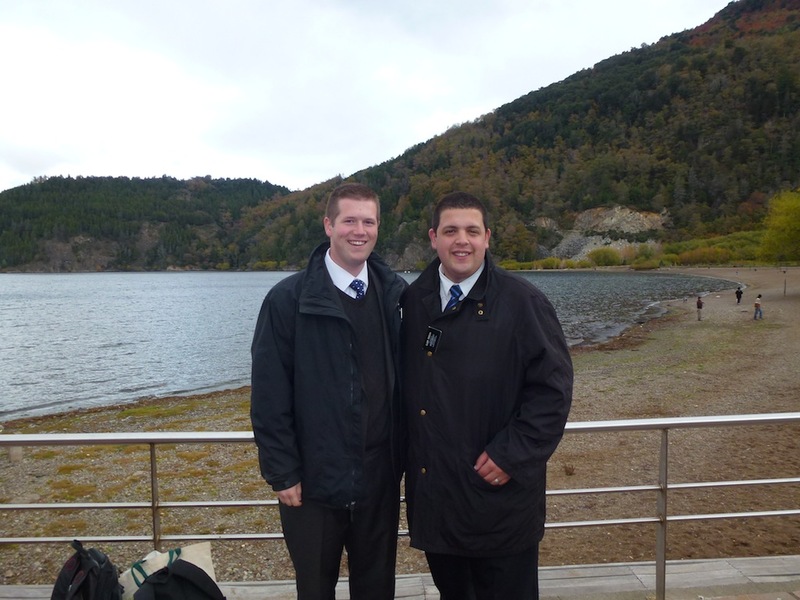 The second it with Elder Pereira in San Martín. You can see the lake that is right there next to the city. This is a picture with Guille and Laura Venagas. The are like our parents here in Zapala and take us out on Pdays. Last week we went to see the virgin Mary haha. 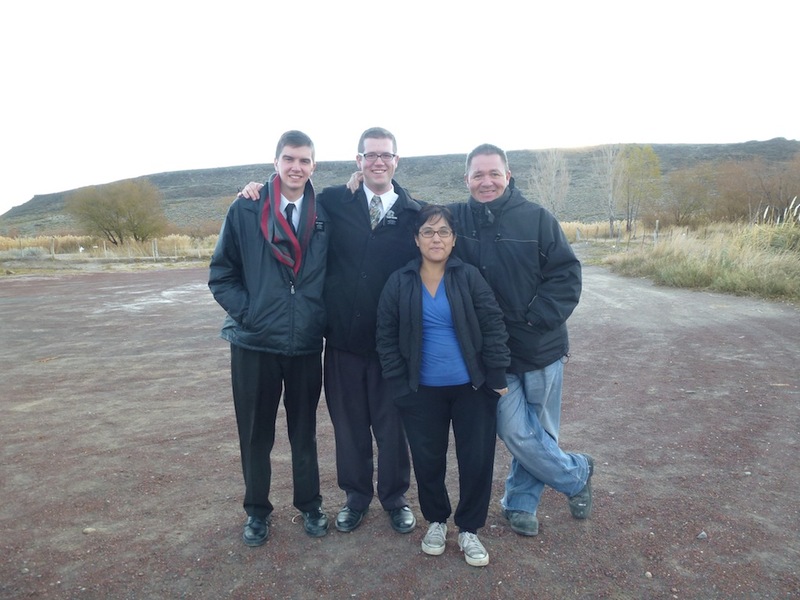 Sorry mom, I don´t have a close up of me and Elder Wagstaff. This entry was posted in Area: Zapala, Companion: Elder Wagstaff by Jim Hudgins. Bookmark the permalink. It’s so nice to hear about your mission, companions, members, and prospective members. I know things are going well. You are such an enthusiastic missionary. I am sure you are influencing so many people for good. You bring the light of the Gospel. May God bless you always.